A small group of organizers are going to make a one day run to Death Valley and also check out Cuddeback Dry lake on Saturday Nov 8th - Sunday Nov 9th. YOU MAY SIGN UP ON THIS SITE IF YOU'D LIKE TO JOIN US. We figured we'd open this up for ALL MEMBERS. 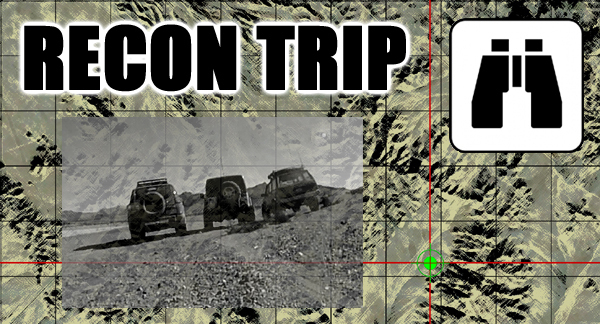 What is a recon trip? For those who are not familiar, a recon is an off road trip where we check out the trails and terrain in preparation for the upcoming events. They can be fun even though we're doing a little prep "work" (lol). Three organizers are planning to depart from Orange County around 7:00 AM Saturday morning. We can rendezvous along the way. Morning comms using either Big Bear Repeater 147.330 before and after the net.